Posted in Fashion, Landscapes, Photography, WinterTagged art, beauty, blog, fashion, ootd, photography, photos, railroads, style, sweaters, toronto, WinterBookmark the permalink. :) i could live in that outfit everyday! You look really cute and love your casual chic style! I like this look on you. 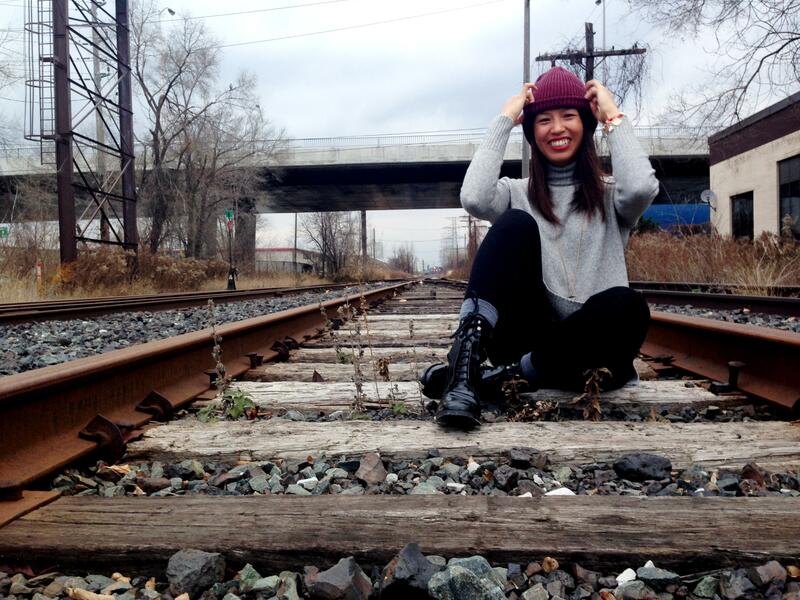 I wanted to do a photo shoot on train tracks, but chickened out. LOL. Great post! I love sweaters for women and I love your style. I always wanted to wear those type of clothing but it won’t work on a tropical country because it’s so hot. But you have a cool taste, I like it. i like every piece you’re wearing.. i like your style : simple and stylish.